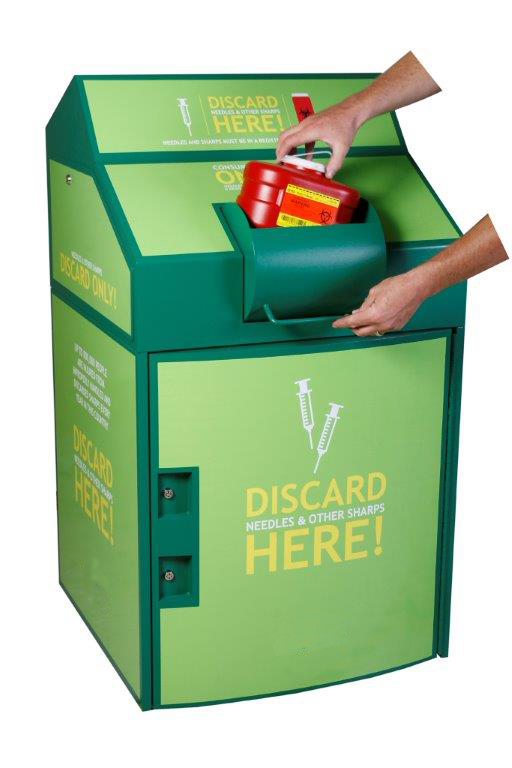 The Sharps Collection Kiosk by Take Back Express™ is a high-security unattended collection kiosk that is ideal for pharmaceutical disposal, expired medicine, medical sharps, or a return kiosk (for cell phones, keys, etc.). 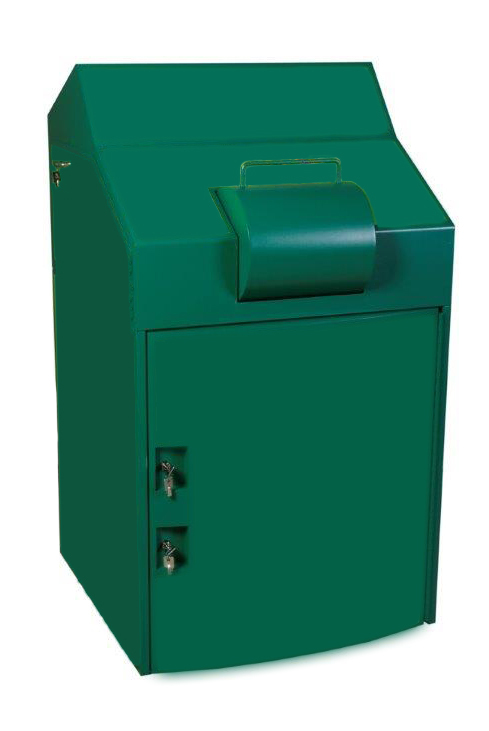 This extra-large capacity collection unit is great for businesses needing to securely collect items in a safe manner. Once an item has been deposited, the dual locks protect items until the time of retrieval. 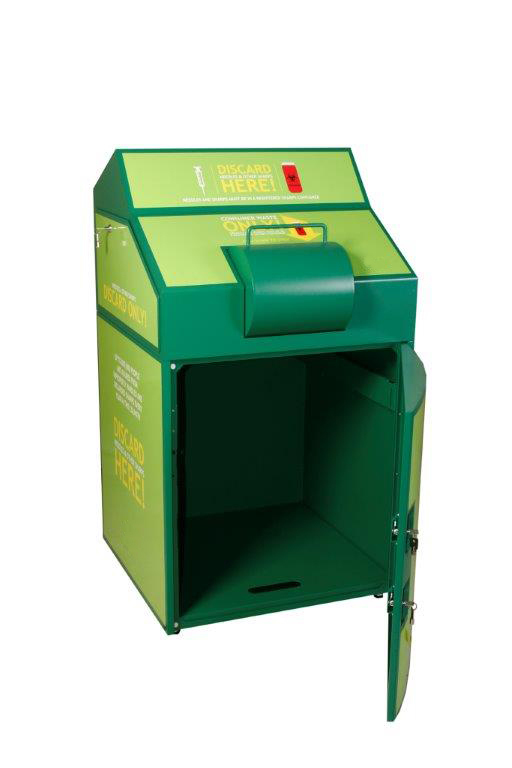 The collection area is easy to access to collect items inserted into the unit . This is an ideal kiosk for hospitals, doctor offices, pharmacies, car rental agencies, law enforcement agencies, airports, schools, and libraries. Call for production lead time. Locking collection area secures incoming items. Service area security panel blocks access to deposited items. Full coverage.